WASHINGTON — New York City’s 40,000-member Christian Cultural Center is planning to build a $1.2 billion affordable housing development project on its 10.5-acre campus in Brooklyn, pastor A.R. Bernard said Thursday. Speaking to Christian leaders from over 45 countries at the 100 Cities Summit hosted by Movement Day at the Museum of the Bible in Washington, D.C., Bernard told the crowd that the Christian Cultural Center will partner with various government and private entities to build a community of 2,100 mixed-income housing units. The community, which Bernard expects to be finished within the next seven to 10 years, will also include an education center, retail space, and a performing arts center. Bernard elaborated on the project in an interview with The Christian Post. The evangelical pastor said that the development will include a mixture of tall development buildings and maisonettes. The community, he said, will provide rental and homeownership opportunities. “To have a true community, you have to have the amenities and services within a 1,000-foot walking distance and we want to stay by that model,” he explained. Bernard said that funding for the project will come from various sources of revenues, including tax incentives and government subsidies. “It is a collaboration of government, private and non-profit coming together,” he stated. Bernard expects the groundbreaking on the first phase of the development to happen in 2020. Mac Pier, president and founder of Movement.org (formerly known as the NYC Leadership Center), told the audience that he thinks what the Christian Cultural Center is doing serves as an “important model” to churches looking to make an impact in their communities. Movement Day is an initiative of Movement.org. 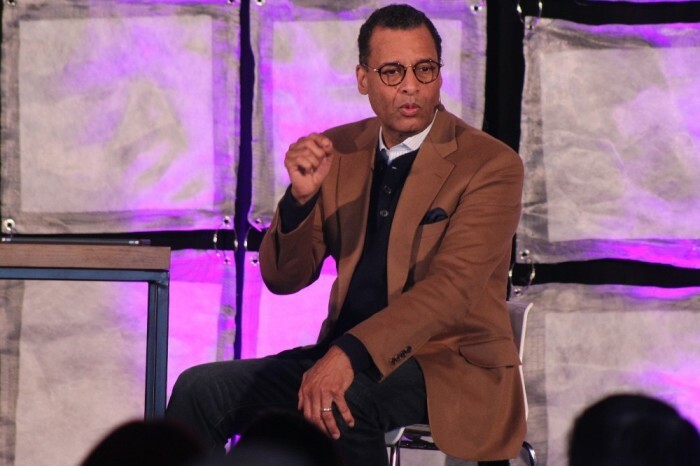 Movement Day's 100 Cities Summit was designed to inspire the over 400 Christian leaders in attendance with ideas on tangible ways their ministries can transform their cities. Bernard told the crowd that God is not just “standing to watch” and that He is actively involved in their plans to transform their communities. “It is not just the theology of Christianity but the Christian social ethics and the responsibility that Christianity presents that we have as our brother’s keeper,” Bernard said.